1000.00 Rebate on energy saving pumps! Shown above are the Green motors by A.O. Smith (now Century) the one on left is multi-speed,the one on right two speed...these motors have controllers included that allow motor to start on high to prime then go to lower speed...from 3/4 to 2.7 H.P. Shown above is the Pentair TEFC motor (totally enclosed fan cooled motor) it costs a bit more than regular motor but well worth it in my opinion. 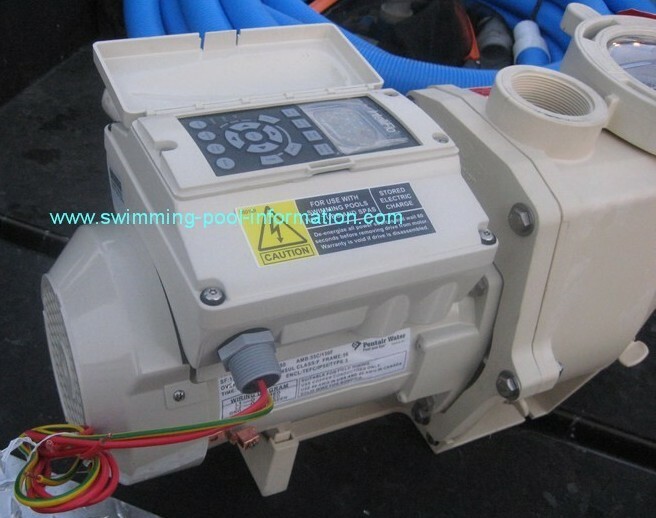 The electrical connections are high up on motor and no air holes so motor can run even if submerged up to electrical connections. 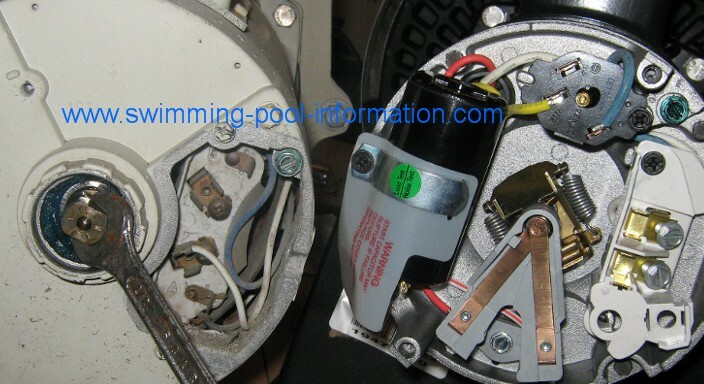 Also good insurance against stupid,ignorant,lazy pool service techs who backwash filter right unto motor then the motor or bearings burn out and they charge you to install a new motor that they caused to go out in first place! 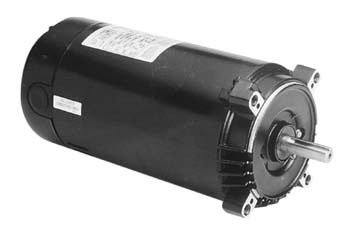 3)Its easier to service the capacitor and/or hold the shaft to change the seal on this type of motor shown below. The centurion style is shown on the left with wrench holding the shaft. The A.O.Smith style is on the right - in order to get to the shaft,a wrench must be slid under the mechanical switch/centrifugal shut off switch. More often than not, something is broken in the process! Also,it is very hard to use a wrench to free a stuck shaft on the motor shown to the right....of course,there is a wrench available (by A.O Smith) that slides easily onto the shaft without removing any motor parts...your pool man can get you one for free if he attends a pool show,but even with this wrench you cannot readily spin the shaft to free a stuck motor. Another thing to consider is cast iron endcaps. 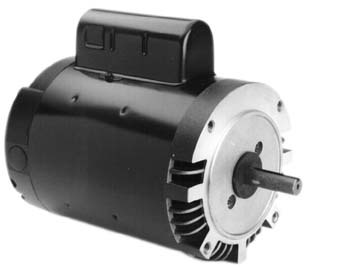 Most motors come with aluminum endcaps which is a softer metal than iron. A softer motor endcap can lead to a motor bearing OSCILLATING around inside the end-cap. These end-caps are known as ENDBELLS. 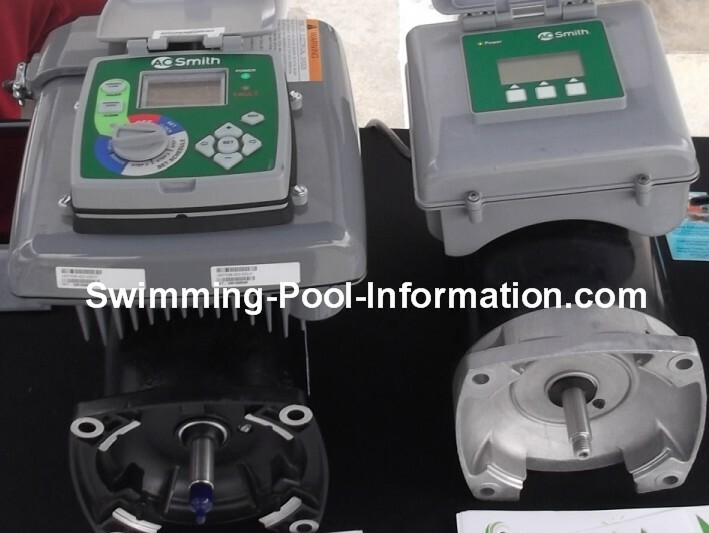 But not all motors are available with cast iron end-caps..ask your swimming pool service tech about upgrading to a cast iron endbell next time it is time to change the motor.Sometimes a motor is labeled "high efficiency" which means it uses about 20% less electricity than a standard motor. 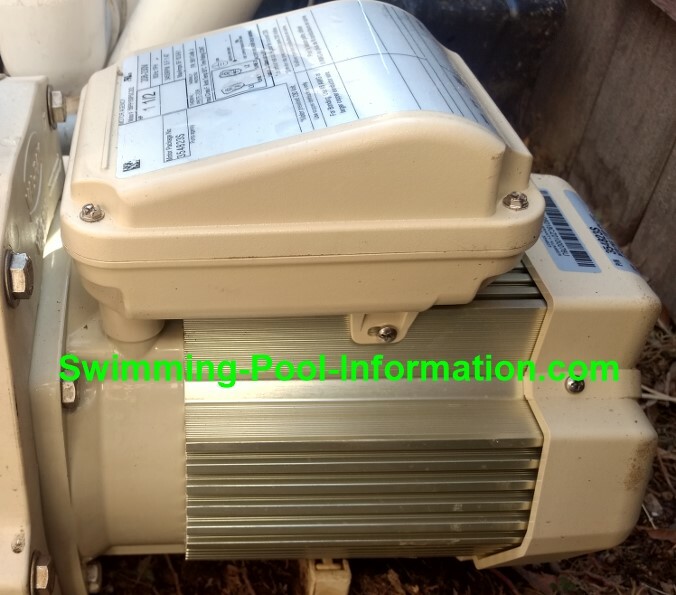 I have been told this is due to the windings having a higher copper content on efficient motors.If you have owned a home with a pool for many years you may think "Pool motors don't last as long as they did in the good ole days! "....Its possible you are senile, but manufacturers, in a bid to improve motor efficiency, have reduced the size and weight of the cooling fan to take less power away from the motor which means the motor runs hotter especially in areas like Southern California or Arizona in the summer. One way to compensate for this is to run the pump during evening or early morning hours but the noise may make this undesirable...which is another reason to get a two speed (or multi speed) pump which you can barely hear on low speed.